Price Includes S & H! The PERFECT solution for individual gifts at any time of the year! 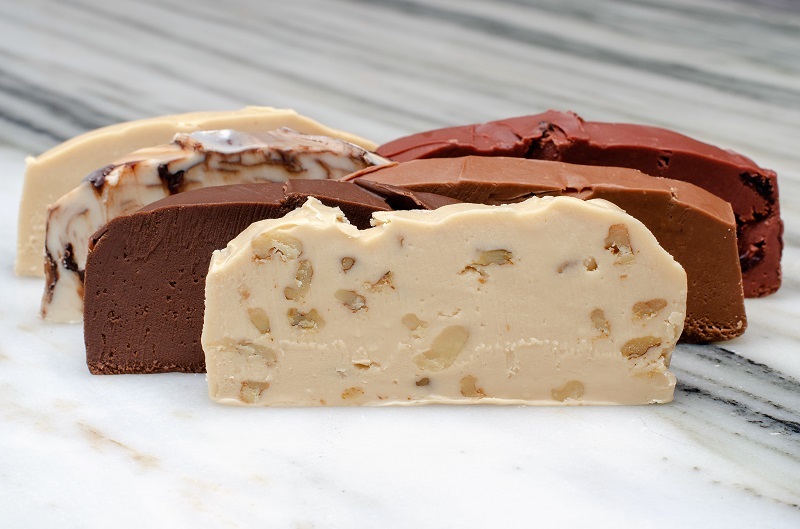 Choose 9 slices of any fudge flavors – sent in 9 separate boxes, labeled. Ea. slice approximately 1/2 lb. We ship 2 day PRIORITY MAIL through the USPS. You will receive a shipping notice via email with tracking number when shipped. Our fudge is GLUTEN-FREE, TRANS FAT FREE, AND ALL NATURAL (Cookies and Cream is NOT gluten free). Fudge does not melt. Fudge freezes well in zip lock freezer bags if you wish to enjoy it at a later date. 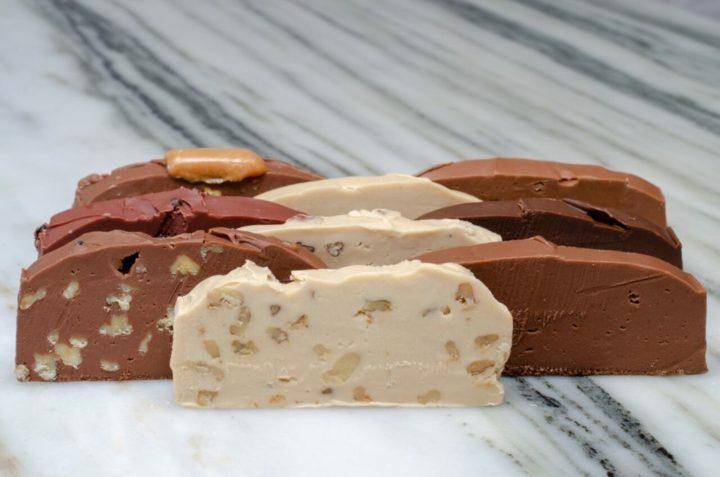 This special package offers Murdick’s Famous Fudge made with fresh, full cream and real butter – your choice of three flavors. 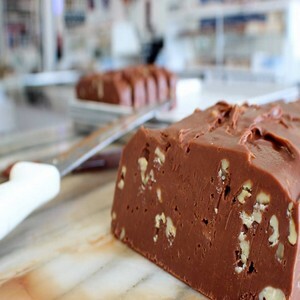 Get the best for your friends and family!- Order Murdick’s Original recipe fudge from Michigan’s First Family of Fudge. 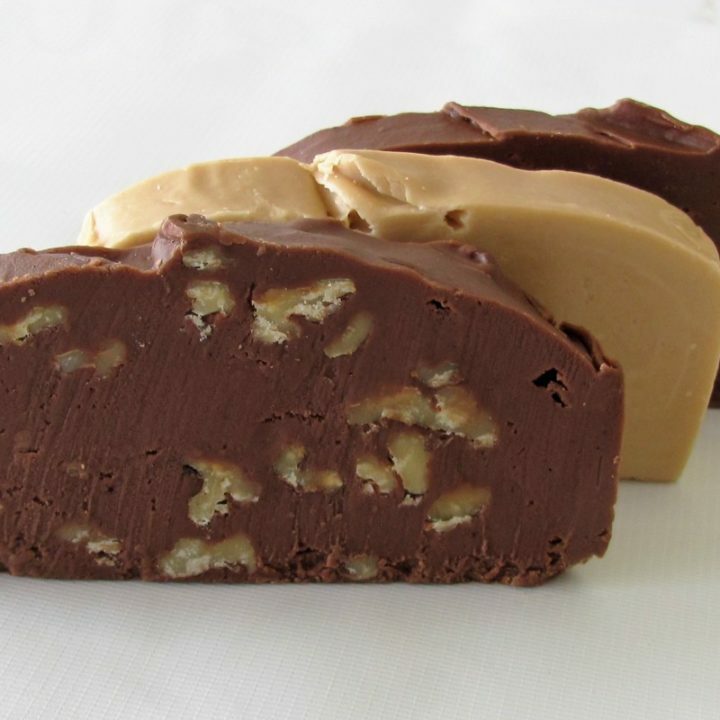 Aaron Murdick and John Murdick are the fourth and fifth generation of Murdicks to make fudge in the Mackinac Straits area. 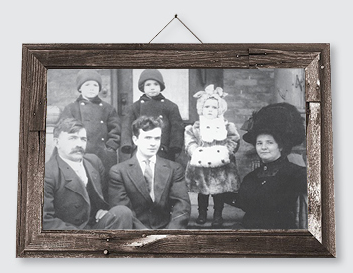 The Murdick family has been making Murdick’s creamy and delicious fudge for over a century! They cook their fudge in copper kettles, the old fashioned way, just as their ancestors did back in 1887 (when the very first fudge store was opened on Mackinac Island by Aaron’s great-great grandfather). 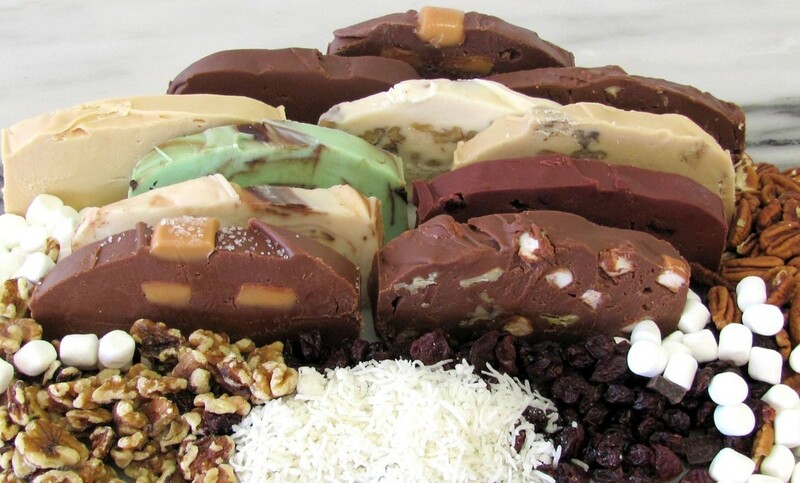 The fudge is then poured onto marble slabs until it is cool enough to work with long fudge paddles. 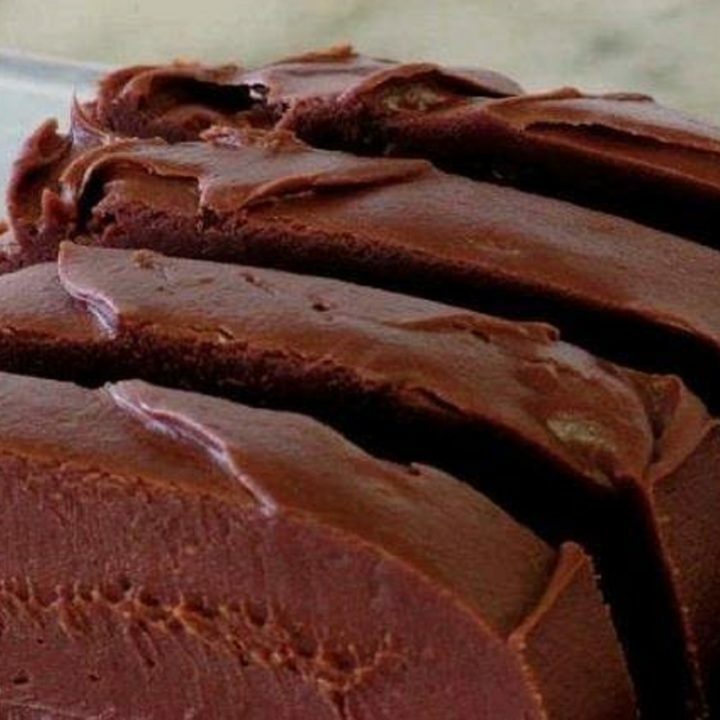 When Aaron or John thinks the fudge is just beginning to set (and this is only learned with experience and time), they will begin to loaf the fudge, using a shorter tool to expertly shape it into a long loaf ready to slice for the showcase! 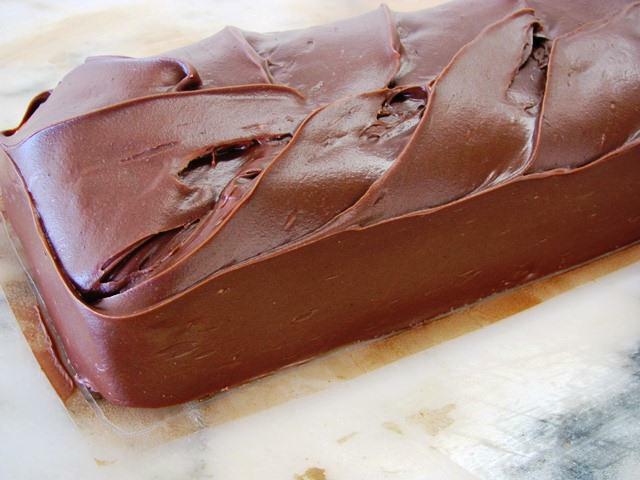 There is nothing better than the taste of warm, creamy fudge fresh off the slab! Bring your childhood memories and the smells of grandma’s kitchen into your home!